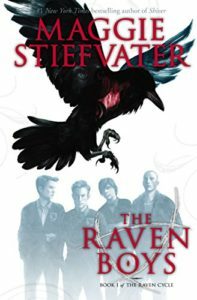 I just finished The Raven Boys, book one in Maggie Stiefvater’s Raven Cycle series. Wow! Here’s a synopsis from Maggie Stiefvater’s website. So, what did I love about it? It has both a great story and great writing, but the best part is the characters. They are multi-dimensional and so different. Loved, loved, loved it! 8 Responses to What I’m Reading. I am reading Girl Undercover by Julia Derek. 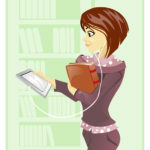 It is a murder mystery and a love story, keeps me glued to my Kindle! This looks so good. I love a story that mixes genres. Thank you for the recommendation. “The Christmas Train” by David Baldacci, my most favorite Christmas book for anyone – just delightful! I was just thinking this morning that I needed to read another Christmas book, and well, you can’t go wrong with David Baldacci. Thanks. Obviously, if you’re on the 10th book in a series, you’re enjoying it. Thank you, Sue. Finding you at Christmas by Kristin Wallace. A cute little short stort. I enjoyed it. I could use to read something short. Thanks, Cheryl.